The desk and stool are handmade. 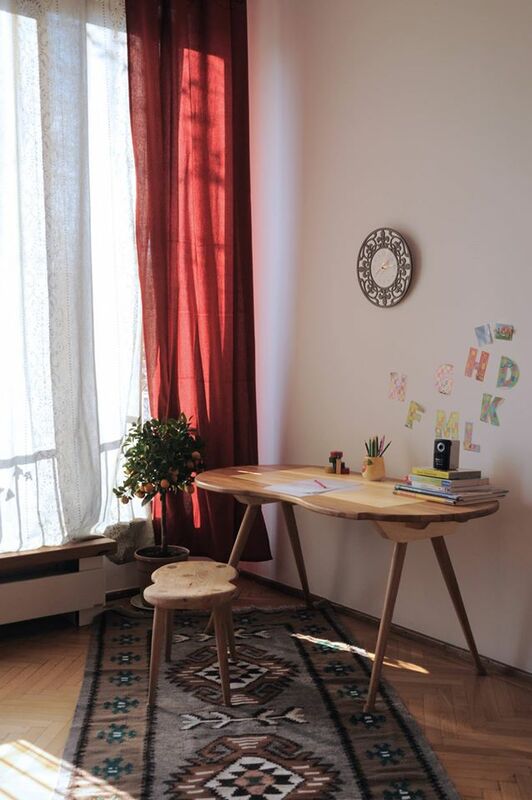 The desk is manufactured from solid oak and spruce, with natural oil and wax finish. The stool is manufactured from solid larch and oak, with natural oil finish. The Capri set is suitable for children 3 to 10 years old.